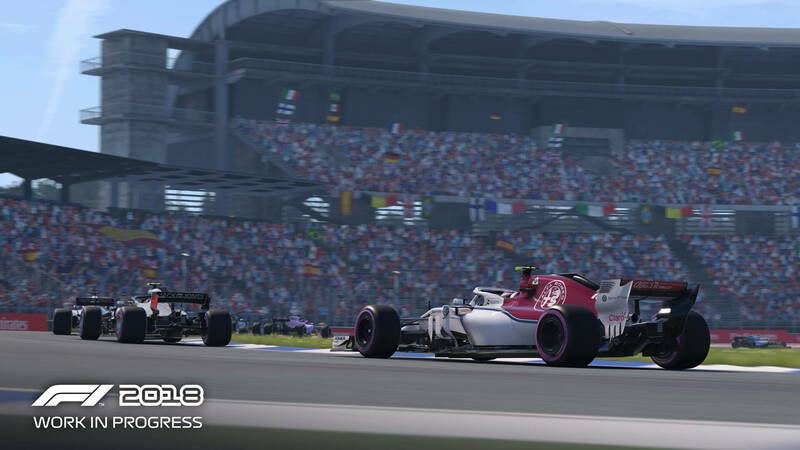 With only eight days to go until the launch of F1 2018, this year’s official installment into the long-running Formula 1 game franchise, Codemasters has debuted its third official gameplay trailer for the title. This one features a mixture of both captured gameplay and cinematics, highlighting the action that takes place on and off the track. Like the first gameplay trailer, which offered a detailed look at everything new in F1 2018, this one is backed by the incredible song ‘Love Me More,’ performed by Chase & Status, featuring Emilie Sande. The new trailer captures the thrill and excitement of the real-world sport, showcasing the lifelike recreation Codemasters has crafted for F1 2018. With a heavy focus on press interviews and improvements to research and development, as well as end-of-season rule changes, this year’s game will bring you even closer to the sport than ever before. Plus, you can relive its historic moments with 20 iconic classic cars, on top of all the cars, teams, drivers and tracks of the 2018 season. It truly is a Formula 1 game experience made for diehard fans of the sport. As a reminder, F1 2018 will be available on Friday, August 24th for Xbox One, PlayStation 4, and PC. To learn more about this year’s entry, be sure to check out this 40-minute preview video with the Career Mode, as well as our hands-on with the game on a £2,000 Playseat and Fanatec simulator setup. You can also check out our classic cars videos, featuring the 2009 Brawn BGP-001 and the 2003 Williams FW25 – both of which are exclusive to the Headline Edition at launch, and will be made available for standalone purchase in the future.